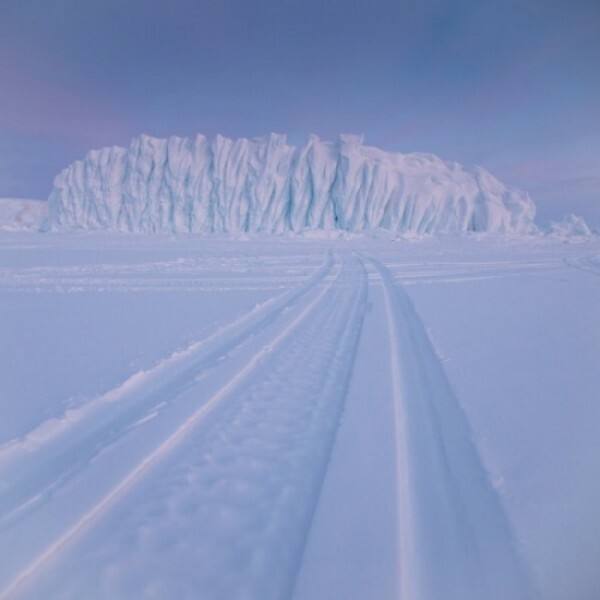 Tracks lead toward the iceberg located just outside of Pond Inlet, Nunavut. This berg is within walking distance from town, though many make the trip out by skidoo. Aside from being very beautiful, it’s a destination for ice harvesters. Iceberg meltwater makes the best tea in town.